The BAYSIDE TRAVELLERS DANCE SOCIETY promotes traditional music and dance. Our goals are education, increased community awareness and participation in traditional and folk music and dance. All ages, skills, and interest levels are welcome to participate. 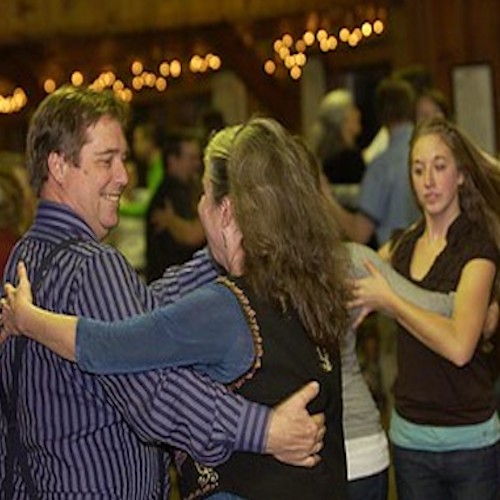 Contra and Square dances are held on the second Saturday of the month, October through June. Bands provide live music. All dances are taught, and no partner is necessary. Clean shoes are requested and a smooth bottom to the shoe is helpful for ease of movement. It is important to have clean and dry shoes to change into once you have arrived at the hall. All dances start with a skills workshop from 7:00 to 7:30 p.m.
Dance starts at 7:30 p.m and run until 10:30 p.m.